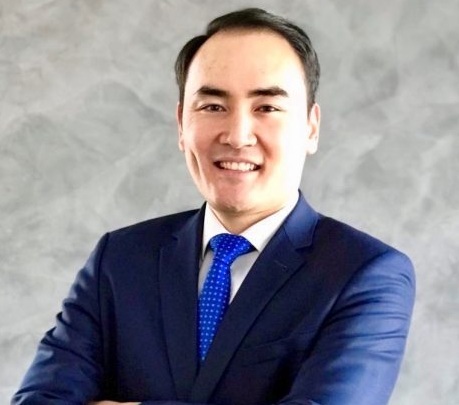 Marat Birimzhan is the Deputy Chairman of Kazakh Invest, having previously served as the Director of Portfolio Investment at the National Welfare Fund “Samruk-Kazyna”. Kazakh Invest was established by the Government of Kazakhstan to attract high-quality inward investment to the country, acting as a single point of contact to support businesses on their investment journey. Globally, the food and agriculture sector is worth approximately $7.8 trillion. With the world’s population and standards of living continuing to expand at a rapid rate, the industry will need to grow to meet this increased demand. Kazakhstan’s strategic location at the heart of Eurasia, combined with its proven success in the agribusiness sector, means it is in an excellent position to capitalise on this growth. Similar in size to the whole of Western Europe, Kazakhstan is strategically located at the centre of a regional marketplace of over 500 million consumers. Our rapidly developing infrastructure and investment in a modern transport network now makes it even easier for local produce to reach Europe and Asia – with its combined market of 4.4 billion consumers – in a matter of days. Kazakhstan’s competitive advantages includes its unique climate for crop and agricultural production. It is one of only a handful of countries globally with exactly the right conditions for growing wheat and grain without the need for artificial irrigation. What is more, Kazakhstan’s arable land represents an area larger than the entire United Kingdom, meaning there is incredible potential for investors willing to think big. International investment in the agribusiness sector has tripled since 2004, and according to the latest sectoral McKinsey report, demonstrates a significantly higher return to shareholders than other sectors. Kazakhstan’s vast size, as the ninth largest country in the world, means that there is still plenty of room for growth and investment in our agribusiness sector. What is more, Kazakhstan has the largest amount of permanent pasture per animal in the world. Our beef and dairy herds graze freely on a largely grass-fed diet year-round. This means that not only is much of Kazakhstan’s produce organic but is of high quality and can be sold at a premium. It is perhaps no surprise that the thriving agribusiness sector now employs around one fifth of Kazakhstan’s working population. The sector has seen substantive changes in recent years, thanks to major national investment, changes to production techniques, and efficiencies brought about through the amalgamation of small farm holdings. Due to our fertile soil and a strong agricultural tradition, we have achieved self-sufficiency in wheat as well as in beef and lamb. Kazakhstan’s Ministry of Agriculture estimates that consumers in China are willing to pay 40% more for branded, organic, pasture-fed beef. Our vast size combined with abundant clean air and fresh water, means we can produce crops and meat that rival those of any leading nation, not just in price but also in quality. At Kazakh Invest, the national company for attracting inward investment to Kazakhstan, we have made agribusiness one of the priority sectors to attract high-quality global investment. We provide end-to-end support to global investors; using a tailored package of services for the entire lifecycle of their investment journey. Investors in Kazakhstan are also a major beneficiary of the expansive development of the New Silk Road. It has led to improvements to the country’s transport infrastructure which has provided the potential to deliver high-quality food produce to western China’s growing middle classes in a matter of days. This is also true of Europe, where goods can be transported to Germany in just 14 days – three times faster than via traditional sea routes. In recognition of the key role that the country’s agribusiness sector can play at a global level, Kazakhstan’s President has announced that the government will invest US$1.5 billion in milk and meat production in the coming years to improve productivity in both sectors. In dairy too, Kazakhstan possesses a distinct advantage. Its eastern plains share a sizable land border with China. Chinese consumption of milk and dairy has quadrupled since 1995 among its urban population and nearly sextupled at a rural level. As demand for high-quality dairy produce continues to grow exponentially across Asia, Kazakhstan can turn both east and west to sell its premium produce. Of course, having the right product alone does not guarantee investment. Many countries around the globe have untapped potential but present a poor choice for international investors. Above all, investors need to know that the right economic and regulatory conditions are in place to keep their investment secure. Kazakhstan’s government has taken bold and decisive steps to ensure the necessary market conditions are in place to protect businesses and investors. Because of this, Kazakhstan now ranks number one globally for protection of minority shareholders rights and is first globally in the field of corporate governance, according to the World Bank. Kazakhstan’s agricultural sector is on the verge of turning into a high-tech industry, as the growing number of agricultural startups and investments demonstrates. While public funding is critical, it is not enough to meet ever growing consumer demand, international financial institutions must leverage private investments to become part of the global drive to increase global food and agricultural output.